Reading children classic books are one of the things that I left behind during my childhood days. I love to read books but I was not given a chance to explore and read a lot of these books during those years. Now that I am a parent, I would like to encourage my children to read books. I want to collect the Best Children Classic Book Stories. At home, I think we already have more than 50 children books. I bought most of these books from booksale, National bookstore, and other book shops. Some are given by my Aunt shipped from Canada. I believe that when you introduce books to your children at an early age, they will appreciate it more as they grow. 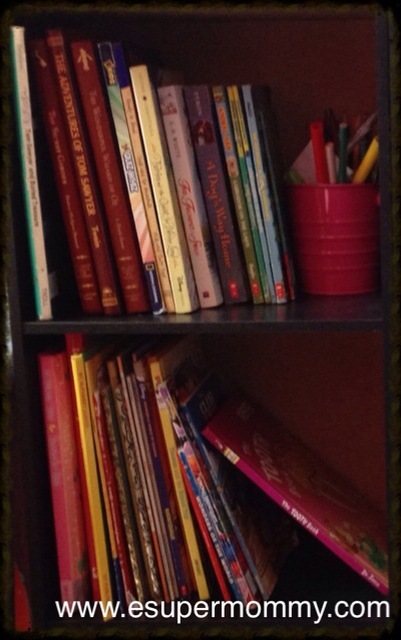 The photo above shows some of the books that my son mostly wanted to read. We have the adventures of Tom Sawyer, The Secret Garden, Thomas and Friends books, The Trumper and Swan, Fairy Tales book collection, and a lot more. My goal is to complete the List of Best Children Classic Book Stories . How about you? What are the children book titles that you wanted for your child?